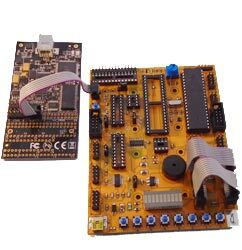 The Dragon is a combined programmer and In Circuit Emulator (ICE) for AVR microcontroller development. 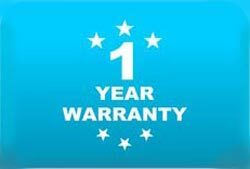 It operates from within Studio development environment, which allows you to debug both C and assembly code, or to program your chosen device, from a single software program. The Kanda AVR Dragon is the genuine Atmel tool, not a clone, but we have included all the ISP, DebugWire, power, USB and JTAG cables needed to make it easy to setup and use, unlike the standard version. We have also included adapters to connect JTAG to STK200 and STK500 boards and comprehensive instructions. The Dragon is a fully fledged emulator as good as much more expensive ICE units. The only difference is that it is not cased. Atmel sell it with no leads and poor instructions, which makes it hard to connect it to your target boards. We have corrected both of these short comings. It can also power your board so you do not need a power supply. Both the STK200-X and STK300 kits give you a complete understanding of the microcontroller and how to program it to do want you want. This lets you develop your own circuits without relying on expensive modules like Basic Stamp or Arduino shields. Unless you have a specific project in mind that needs lots of pins, the STK200-X is the right choice for most people. 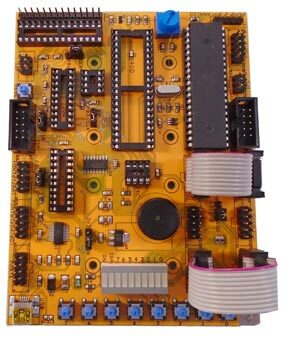 It has 40-pin ATmega16, with 16 KB of memory, ideal for most simple projects and this can be replaced by other 40-pin microcontrollers, up to 128KB ATmega1284,	so you won't run out of memory. These kits are made in the UK by Kanda but we supply them throughout the world. 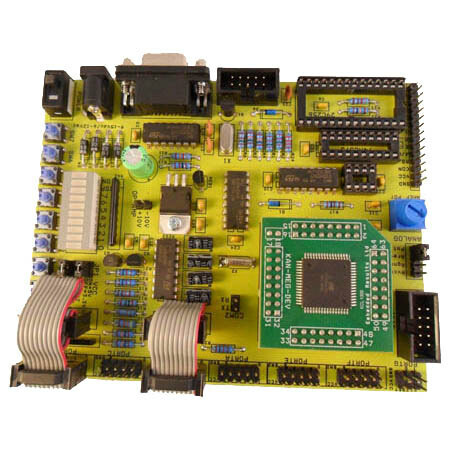 Kanda supply our programmer range, PIC programmer range, Universal programmers, training board, CANUSB and all our other products to electronic engineers worldwide.